Brad T. Wyly of the Wyly Law Firm, P.C., points to a new study showing that a cell-phone ban has reduced distracted driving in California. Why not pass a similar law in Texas? Texas lawmakers should revive and pass distracted driving legislation, including a driver cell phone ban, as soon as possible. Gov. Perry should sign it. A new study shows that distracted driving laws have worked in California. Now the time has come to pass a similar law in Texas, Houston car accident attorney Brad T. Wyly said today. “The study shows that California has recorded a major drop in the number of deaths caused by drivers using cell phones behind the wheel since the state banned drivers from using hand-held cell phones in 2008,” Wyly said. Two years after California prohibited cell phone use behind the wheel, deaths attributed to drivers using hand-held cell phones declined by 47 percent, the study found. Overall traffic deaths fell 22 percent, according to the study, which was released March 5. The Safe Transportation Research and Education Center at the University of California, Berkeley studied car crash records from two years before the ban and two years after the ban, the California Office of Traffic Safety(OTS) said in a news release. The OTS said 40 percent of California drivers reported they talk less on hand-held and hands-free phones since enactment of the hand-held cell phone ban. Wyly is a veteran Texas car accident attorney. His Houston personal injury firm represents victims of motor vehicle accidents and other catastrophic injury cases. In December 2011, he called for a full ban on drivers’ cell phone use in Texas after the National Transportation Safety Board (NTSB) recommended a ban on cell phone use by all drivers of personal and commercial vehicles. “California has acted to save its citizens’ lives with a ban on this dangerous distracted driving practice. Texas can and should do the same,” Wyly said. Texas law bars teen-age drivers from using cell phones and text messaging devices. The state also bans the use of hand-held cell phones by drivers in school crossing zones. “It’s not only the person texting while driving, or talking on a cell phone while driving who is hurt in a car crash,” Wyly said. “Distracted driving injures and kills innocent drivers, passengers and pedestrians. Wyly said the Wyly Law Firm will continue to stand up for the rights of those who are harmed by distracted drivers and other negligent motorists. “Unfortunately, even with laws in place that have a positive effect, there will continue to be those whose actions endanger others,” he said. About Wyly Law Firm, P.C. The Wyly Law Firm, P.C., is a Houston law firm that represents personal injury victims, including those injured in car, truck, motorcycle, bicycle or pedestrian accidents, throughout Houston and surrounding communities, including Harris County, Baytown, Pasadena, Galveston, Beaumont, Bellaire, Cloverleaf, Spring Valley, Missouri City, Aldine and Jersey City. The firm also represents business and homeowners with first-party insurance claims against their insurance companies. 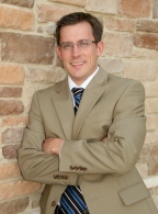 Attorney Brad T. Wyly, the firm’s owner, is a skilled negotiator and lawyer. Wyly has extensive experience in personal injury cases, including claims involving complex accidents, catastrophic injuries and wrongful deaths. He has been named a Rising Star in Law & Politics magazine. To contact Wyly Law Firm, P.C., call (713) 574-7034 or use the firm’s online form.